We believe your security system should be accessible from anywhere. Alarm & Video notifications, Remote Arming & Disarming. You don't need a new system. You just need a BlueHub. So we designed the BlueHub, an IP Security product that enhances Alarm Systems & catchClip. 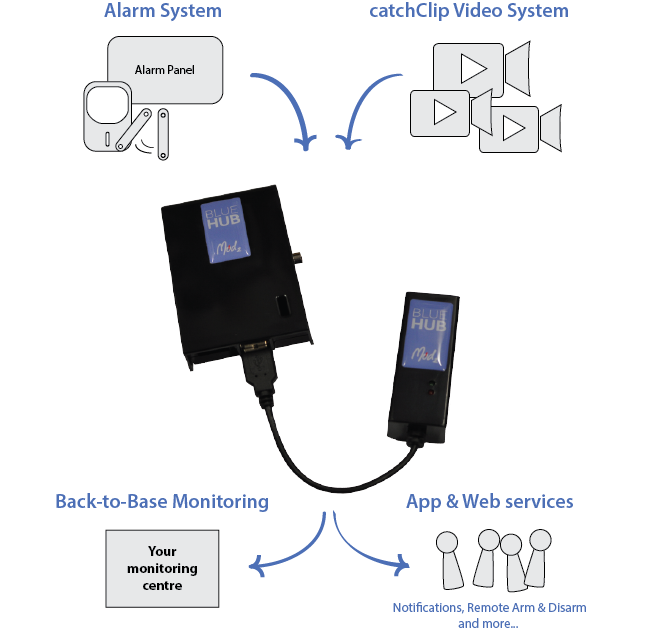 The BlueHub can be used for Alarm Systems, catchClip or both. The BlueHub gives you the ability to Arm & Disarm your Alarm System even when you’re not at your site via our App & Web services. The BlueHub can send you Notifications via our App for smart phones and tablets, or via email. You can choose to receive notifications about Alarm Events, Video Clip Events, Arm & Disarms Events and more. The BlueHub converts your Alarm System from regular dialler reporting to Internet reporting (IP). Your Alarm System will no longer make 1300 calls to report Alarm events, saving you money. You might even be able to get rid of your phone line altogether. Removing communication costs means your Alarm System can now report more events, more often. We can monitor Arming and Disarming events so you will know when your site has been Armed or Disarmed and who did it. Health checks for your Alarm System can occur more frequently, so you will know if your site has an issue much sooner. These features were previously reserved for commercial sites because of the communication costs. With the BlueHub, you can have Full Service Monitoring for your site at low fixed running costs. The BlueHub offers next generation Video Security with catchClip. Our video product, catchClip, works like an Alarm System, but with HD Video. Using True Push-Technology, video clips are captured when there is an event at your site and then sent to the cloud for storage. You can receive notifications via our App for smart phones and tablets, or via email, and then view the Video Clip immediately. catchClip can work with or without an existing Alarm System, and offers the option for Back-to-base monitoring. The BlueHub plays an essential role in the catchClip service encrypting your video clips before sending them to the cloud as well as ensuring clips are not lost even in the case of Internet failure at your site. The BlueHub is available via our 200 installation partners Australia wide. If you would like more information or want to get started, simply leave us your contact details with us and we'll have a trusted installer near you get in touch. For other enquiries or to become an installation partner, feel free to contact us. The (*) denotes required fields. 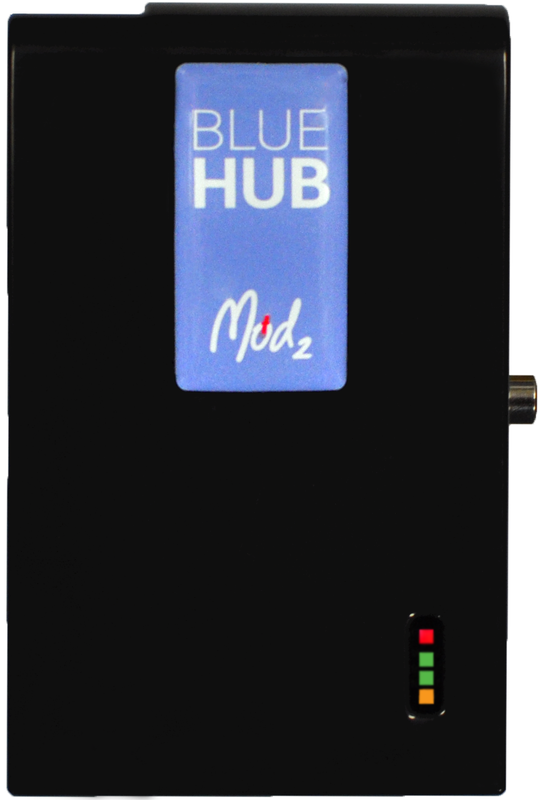 The Blue Hub is a product by Mod2, designed and developed in Australia. Website by Mod2. Copyright © 2013-2019 Mod-2 Technologies All Rights Reserved.